BERLIN (Reuters) - The supervisory board of Volkswagen will meet on Monday to discuss the future of Rupert Stadler, the suspended chief executive of its premium brand Audi, German magazine Der Spiegel reported on Friday. The magazine said the board was due to decide whether Stadler, who has been in police custody since mid-June as part of a broader probe into emissions cheating at Audi, should give up his position. Citing sources close to the company, Spiegel said it was probable that Stadler would be asked to relinquish the role, seeing as he was unable to perform the duties of an executive. A source told Reuters the reason for the supervisory board meeting was to discuss further steps towards a possible listing of VW's truck and bus subsidiary and not Stadler. However, sources close to the company expect that the board will also talk about Stadler although no decisions are expected. 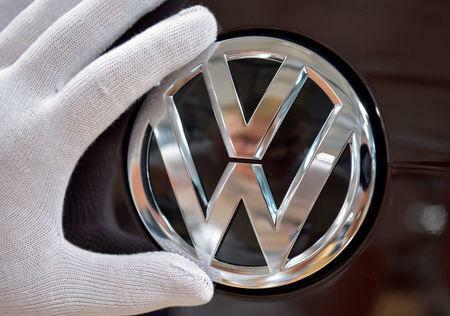 In July, Volkswagen recruited BMW engine development and purchasing expert Markus Duesmann, who has been touted as a potential successor to Stadler as VW looks for clean-engine expertise to help it shake off the emissions scandal. Stadler was forced to step down temporarily after he was taken into custody on suspicion of interfering with an emissions investigation. Sales executive Bram Schot is acting as interim replacement.